And you thought there were only new kids to send off to die in Valkyria Chronicles. Not quite! 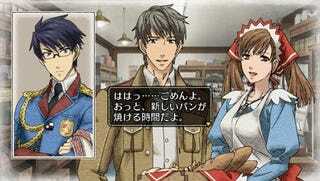 Turns out two of the stars of the first game, poster-girl Alicia and Welkin, are back for more in Valkyria Chronicles 2. They're not reprising starring roles for the PSP sequel, but still, they'll be in there as playable characters nonetheless, along with Lamarre from the anime and two characters (Mitnz and Julius) from the comic as well. Welcome back, Alicia. It just wouldn't be the same without you.